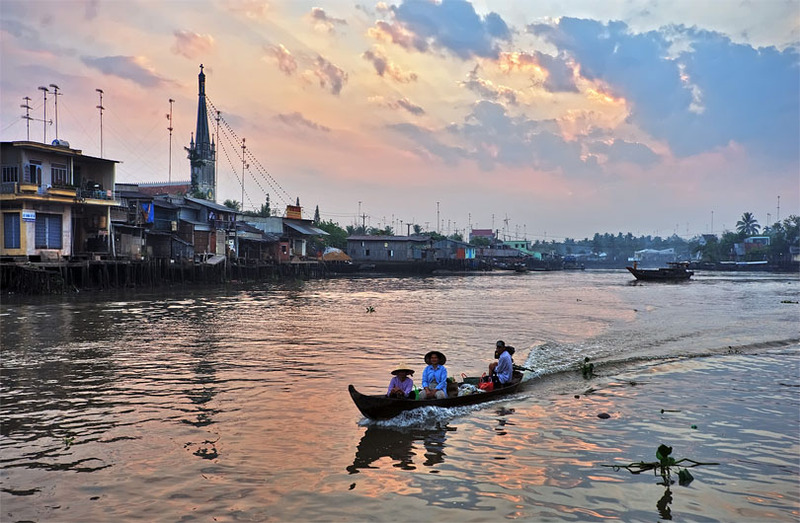 The Mekong River Delta, with its meandering waterways and flourishing daily life, is a place not to be missed. River banks are laden with coconut palms, rice fields, orchards and stilted houses. 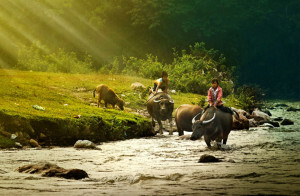 Together with the beauty of Tra Su Conservation and its wild habitats can hardly be described by words. At 7:30 am, our tour guide and driver will pick you up from your hotel and start the Mekong delta tour from Ho Chi Minh city. We will drive you on the secondary road 50 (not the Highway 1!!) to Can Duoc market (45 km) – a stunning rural Mekong delta market on its informal setting and friendly market goers. Here you have a chance to communicate with friendly local people of Mekong delta who are doing the business for their living in this market. Then heading for Tan Hoa town (25km) with a short break to visit a local family’s legumes nursery and witness an unbelievable form of labor-intensive which has not changed over three generations. Also, you can learn the technic how chili peper is grown from the local people in this nersery. Upon arriving deep in Tan Hoa town, enjoy a stunning scenery of Mekong delta rice paddy fields for scooter ride (you are on the back of our safe driver – Safe Helmet on) to go on small village paths covering by coconut trees. The scooter ride will give you the opportunity to take many pictures in rural villages in Mekong delta like Xom Ray and Trai Ca. You will learn our rice process from start to finish and visit rice husking factory too. After that, we drive you to Tan Thanh muddy beach (one out of nine Mekong river esturies) not for swimming but you can take a walk on boat bridge for beautiful photos. Then have late declicious lunch with fresh seafood by local waterfront restaurant. After lunch, we transfer you to My Tho city for another highlight of the day which is Mekong delta river boat trip to visit Ben Tre – kingdom of coconut in Vietnam. We stop you at a coconut making factory to see how coconut candy is made by local traditional ways. Then take the horse cart to a local restaurant to take the small boat drive along the shady canal with the palm leaves of water coconut in Tan Thach. Next, we take to boat drive passing many floating fish farms and islands in upper mekong river to boat station in Ben Tre near by Rach Mieu bridge and get back AC bus for the journey Can Tho (100km) and check in your hotel. Note: 4-star accommodation (Victoria Can Tho Resort) is available. Please contact us for more information and cost. 5:30: roll out of your bed, hop on your car and drive to Phong Dien district (15km). Upon arrival, hop on an arrow-boat and cruise to the unique and stunning Mekong floating markets of Phong Dien and Cai Rang. Sit back on your boat and enjoy the morning coffee served by a local coffee boat. You will be surely driven back to the yester-centuries by the sounds of whole world of trading going on from boats to boats. Saying goodbye to Phong Dien floating market, our boat will speed up through green and beautiful channels of the Mekong River stretching along rural villages and arrive in Cai Rang floating market. This will complete a special picture of million floating traders, who have been happily living the floating life and earning their living on some 50,000km of waterways in the Mekong Delta. Get back to your hotel for a late breakfast, have a short rest and check out of the hotel. Enjoy lunch at a local family with beautiful homely-made dishes. Upon arrive at Tra Su conservation, embark an arrow-boat to unveil the breath-taking scenery and the wildlife habitats of this sensational and unique conservation. It is a-thousand-hectare mangroves-forest surrounded by paddy fields! Enjoy a short troll around the conservation on your own and climb up the observation deck for a spectacular view of the conservation. Drive to Chau Doc (23km) and check in your hotel. Dinner is independent – your guide can assist you with this. 8:00 am: embark a wooden sampan to wind through hundreds of massive floating fish-farms where hundreds of local families have been living in their floating home and breeding fish under the home’s foundation. 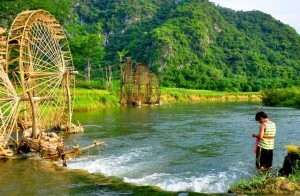 You’ll see why this local province of An Giang could export more fresh-water fish than any other parts of Vietnam! 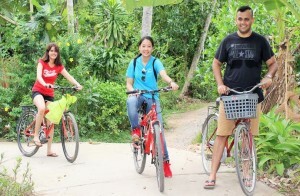 There will be some short breaks en routes for photos opportunity and snacks with tropical fruits. Around 1:00 pm stop for lunch at a local restaurant with authentic Mekong Delta dishes. Drop-off: 4:30 pm – at your hotel in Saigon where our service ends. We booked the 3-days/2-nights Mekong delta tour with Detoured Asia. 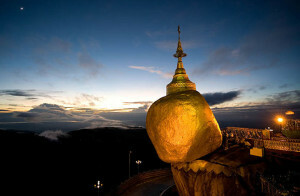 The contact with the tour operator was very smoothly and we get a lot of confident in the tour. We got the chance to choose a hotel for the first night, which is really nice. The tour itself was amazing! We really enjoyed all of the (background) stories of our enthusiastic guide Cuong and the beautiful nature and cultural of the Mekong Delta area. At many places we were the only tourists, which gives us an authentic experience. Tour was well organized! However, the tour is in our eyes expensive. Your money is really worth the experience. But for the money you spend you expect that the tour includes all of the meals. And the 3th day is more a travel day without sightseeing. So you pay for 2 days, which make the payment more expensive. If you have the money, we really recommend this tour especially for the unique, authentic experience. This was a perfect tour and no words to thank you for the magnificent tour. We did half a day Cu Chi tunnel tour and then four day Mekong Delta tour. It was an excellent tour which gave us the opportunity and pleasure of explore your beautiful country. You have enlightened us about Vietnamese culture, traditions, history and life style as well as given maximum opportunity to fulfill our taste buds with mouthwatering Vietnamese food. We have no words to thank you for organizing such an amazing trip. That wouldn’t be any better without your perfect tour guide who kept us entertained and provided with all information and took care of us just like own family. Your hospitality was impressive and always felt like we are In safe hands. we wish you all the best and once again thank you. Strongly recommend Detoured Asia for anyone who wish to have a perfect tour. We booked the tour from home, and the communication with Detoured Asia went very well. We were picked up at the right time by our guide Hang and a private driver. The mini van was very clean and comfortable. We were very satisfied by our guide Hang who talked a lot and learned us a lot about Vietnamese culture en habits. She spoiled us very well, because we told her it was our honeymoon. We got some cake and extra’s in the hotel room. As told on their website, we visited some places where only few tourist come, which made the tour a very nice experience! In the end, we got perfect service as they dropped us off at the airport as we requested. 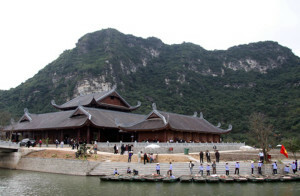 I would definitely recommand the tour, as if for us, it was one of the highlights of our travel trough Vietnam! Joseph, the owner of Detoured Asia, did a great job. We have been on and off boats, cars, motorbikes and a ferry without waiting a second. Even after a car accident, he arranged immediately a taxi to continue our travel. We have seen so many special places, all a bit away from the tourist track. He answered all our questions and even more. He knows a lot about the ancient and recent history of Vietnam. We had some philosophical conversations too. The hotels were good, the lunches great. The atmosphere was relaxed. We enjoyed it very much.